In an article, Bloomberg has discussed the recent developments in the oil market, particularly the rivalry between Iran and Saudi Arabia. According to the Bloomberg’s report, which was covered by Khabar Online, Iran is the only member of Organization of the Petroleum Exporting Countries (OPEC) that has made economic reforms after the decrease of its oil price. The biggest oil exporter has swapped its traditional role as price dove with regional foe Iran, for years OPEC price hawk. The government in Riyadh is now offering a deal — including its first output cut in eight years — to boost prices; Tehran is dragging its feet. At the centre of the reversal is their contrasting thresholds for enduring economic pain. Saudi Arabia will suffer a fiscal deficit equal to 13.5 per cent of gross domestic product this year, compared with one of less than 2.5 per cent of GDP for Iran, the International Monetary Fund estimates. The IMF says the Saudis need oil close to $67 a barrel to square the books. For Iran, it’s lower, at $61.50. When it comes to economic growth, Saudi Arabia is slowing sharply to 1 per cent while Iran is accelerating toward 4 per cent. The current account — a broad measure of a country’s economic relationship with the world — tells the same story. 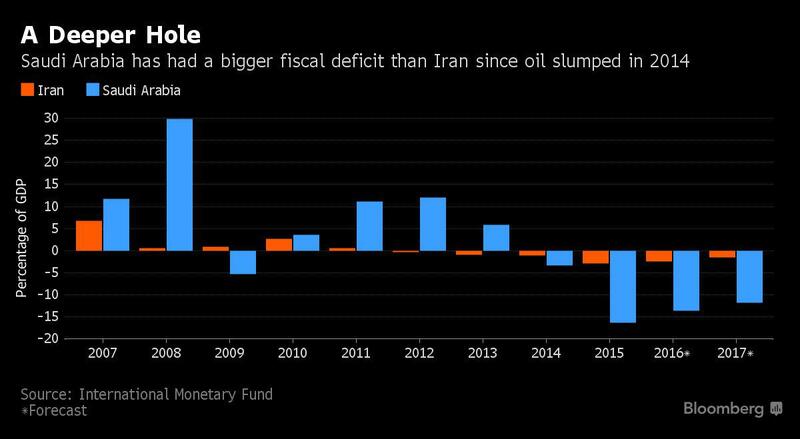 Saudi Arabia faces a double-digit deficit this year; Iran’s is nearly balanced following economic reforms in 2012 and 2013 to weather the impact of international sanctions over its nuclear program. While Iranian President Hassan Rouhani faces elections next May and is under pressure over the country’s economic performance since sanctions were lifted, it’s already been through the austerity that’s only starting in Saudi Arabia. 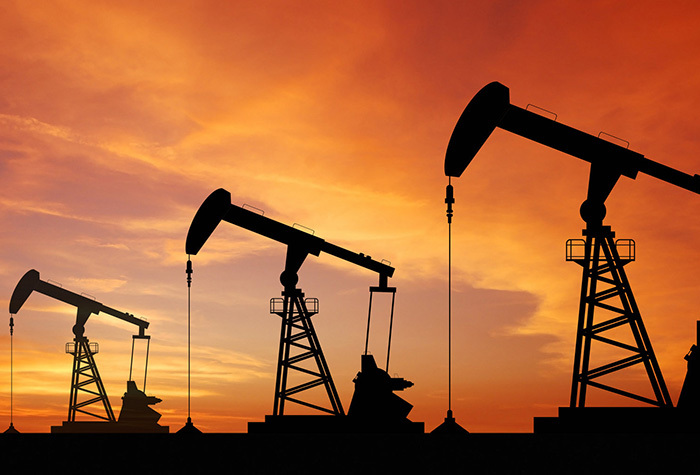 Saudi Arabia has told other OPEC members it’s willing to reduce production to January levels. That effectively would mean a cut of 500,000 barrels a day. Iran, meanwhile, is refusing to freeze its production at the current level of 3.6 million barrels a day, aiming instead to lift output above 4 million barrels a day, the level before sanctions halved exports. Subsidies, long a political taboo, are being cut, as are the salaries of government ministers by 20 per cent. Infrastructure projects have been delayed, and a value-added tax is mooted for 2018. If Saudis have continued spending as they did last year, the country would have gone “completely broke” by early 2017.